A solar eclipse is just like a regular new moon where the Moon passes between Earth and the Sun. However, a solar eclipse is more powerful because the Moon darkens the Sun. Solar Eclipse August 2018 is a partial solar eclipse so most of the Sun will still be visible. The new moon represents the end of one cycle and the beginning of a new cycle. The New Moon August 2018 is at 18 degrees Leo is a partial solar eclipse. The solar eclipse August 2018 astrology is mainly influenced by a conjunction to Mercury retrograde. The August 11th solar eclipse is complex and difficult to decipher because of the number of planetary aspects involved. Mercury conjunct the eclipse reinforces the creative strategic intelligence. It means this eclipse will make you think and question, discuss and deliberate. Mercury retrograde complicates all negotiations and decision. It can play havoc with your thoughts, communications, travels, and electronics. Take extra care with your words and try not to react too quickly in any arguments or if provoked. Mercury retrograde can make you feel anxious. So take some time out if you start to feel overwhelmed by the hectic pace. You may find yourself dwelling on things, reminisce about the past, or unexpectedly meeting up with people from your past. Negotiations and business matters will be in a state of flux. Some important details will not yet be available, or other people won’t be reliable or honest. The theme today during the solar eclipse gives courage and the fighting spirit, but also the creative intelligence and wisdom to find the truth before passing judgment and taking action. It may spark your generous side but even then, make sure you do not leave yourself short. Have fun but don’t party too hard. We are being tasked to embody a deeper level of connection. Finding the inner courage to forgive, to take a creative risk, to connect more deeply and allow your unique and sacred Light to Love in a new way. We are having a Total Solar Eclipse in Leo tomorrow on Monday, August 21st and in the early hours of August 22nd in the East. This eclipse has been named ‘The Great American Eclipse’ as its pathway of totality will be cutting across the US from coast to coast. Solar Eclipses are like a supercharged New Moon which occur every 6 months. They happen back to back with a Lunar Eclipse which is a supercharged Full Moon. Eclipse periods intertwine with endings and beginnings and in some cases can feel like starting a whole new chapter. The energies are strongest within a month of occurring which is when related events or circumstances may transpire. The effects of eclipses can still manifest over the following 6 months and gradually leading up to it. In the lead up to this, we recently had a Lunar Eclipse in Aquarius. Its energies signify changes around our friendships, associates, colleagues, teams, or a collective. It could even have to do with how we express ourselves in these dynamics, and also potentially lead to new growth in relationships and partnerships. We started Mercury retrograde in Virgo on August 12th/13th which will last until September 5th/6th. Mercury Retrograde is a time of adjustments, insights, re visitation, and reorientation. The fact that this one is coinciding with eclipse season really emphasizes significant changes occurring late September, especially in the next 2-3 weeks following this Solar Eclipse. Solar Eclipses always occur when there is a New Moon near one of the two Lunar Nodes, which in this case it is the North Node. The Nodes are where the pathway of the Moon’s orbit crosses the ecliptic which is the pathway of the Sun. The closer a New Moon is to a Node, the more coverage the Moon will have in blocking the Sun making it more astrologically significant as far as changes are concerned. Leo is ruled by the Sun and it is the sign of the creator, the leader, the performer, and the superstar. It is about love and heart centered self-expression, whether it is in creative efforts, blissful activities, or in relationships. Leo is passionate, and inspiring, which is what earns Leo natives the spotlight they may desire. 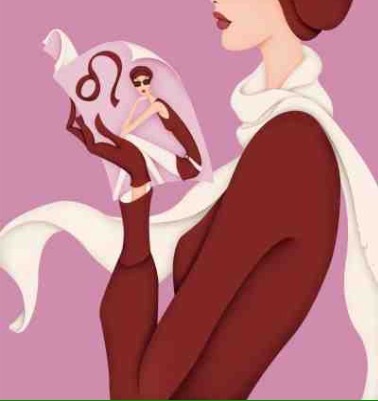 Leo is also associated with the inner child, children and has childlike and playful qualities. This Solar Eclipse is aligned with Regulus, which is the brightest star that is closest to the Sun’s ecliptic pathway. This is the “heart of the Lion of the Leo constellation. We can still feel the powerful New Moon that took place on July 23rd 2017. It is a new cycle that helps to establish our potential and to reconnect with something bigger than us. It&apos;s only then will we feel complete and stable whatever happens. The lunar energy makes us realize our emptiness or to fill a void within is just a disconnection with everything. By filling this gap it&apos;s best to recognize who you are and who you are not and you can discover that it is only the mind that makes you feel the void. The moon asks you silently "Would you like peace?" First step is trust, and when you trust leaving behind control, you must change your attitude to gratitude. Your mission will be revealed once you find out who you are. This evening turns out to be a cosmic experience. Full moon, lunar eclipse and the chance to see a green comet if skies are to clear up. This flyby marks the closest comet to earth in 30 years. 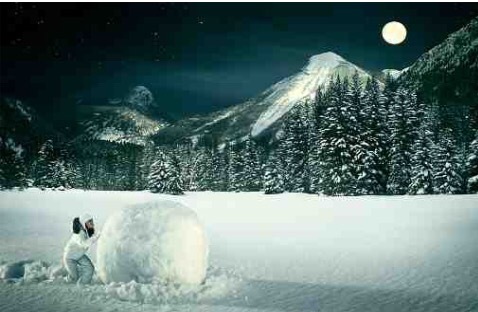 Because it’s February, the full moon tonight is called “Snow Moon” the moon received its name as Snow Moon because usually the heaviest snows fall in February. This name given goes way back to the Native Americans during Colonial times when the Moons were a way of tracking the seasons. The February Lunar Full Moon Eclipse happens to take place in the zodiac sign of Leo. The eclipse in Leo represents the opening of a new gateway and a starting point into the energies of 2017. Eclipses act like doorways into different energy paths, and are powerful enough to transform, shift and change the direction and flow of your life. We look at Eclipses like the cosmic helping hand of the Universe. Imagine the Universal helping hand that reaches down from the heavens and puts you where you need to be. The good thing about the energy of the Eclipse is that you can trust the direction they are guiding you in which is part of the cosmic plan and written for you. Trust whatever unfolds and know that it is all for a much higher purpose.